The Company invests in consumer goods businesses, food and beverage businesses, and industrial park development and others. As for the development of industrial parks for the Saha Group, the Company is the sole operator. Its undertakings include land development for industrial use, land and/or building leasing service, and basic infrastructure and utilities inside the park. As for its investment in share capital, the Company and others in the Saha Group consider investment potential and jointly invest by prioritizing interconnected businesses or mutually beneficial businesses. It is the group’s policy to invest in companies which mostly relate to existing core businesses. An Investment Department has a duty to monitor and analyse the performance of the invested companies, as well as report any issue to the Company and shareholders of the Saha Group in order to find solutions in a timely manner. 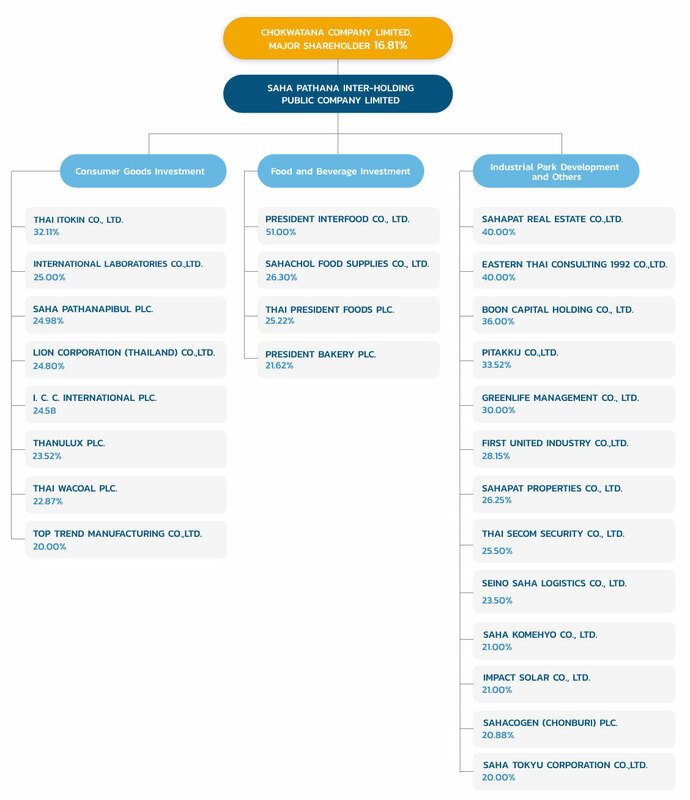 However, the invested company is still dependent, and its management authority lies with its board of directors. 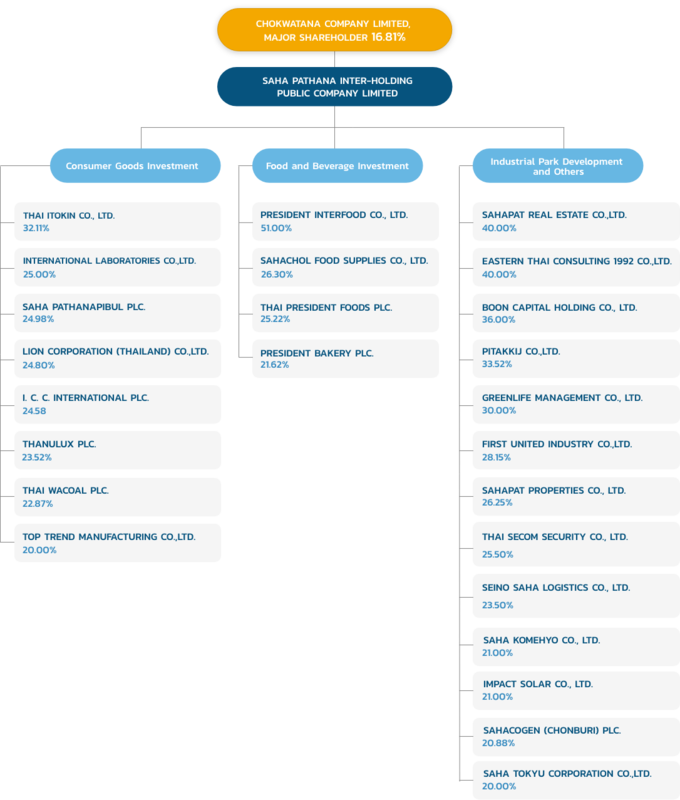 At present, the Company continues to expand its investment in consumer goods, food and beverage, and other sectors that may benefit the Saha Group.